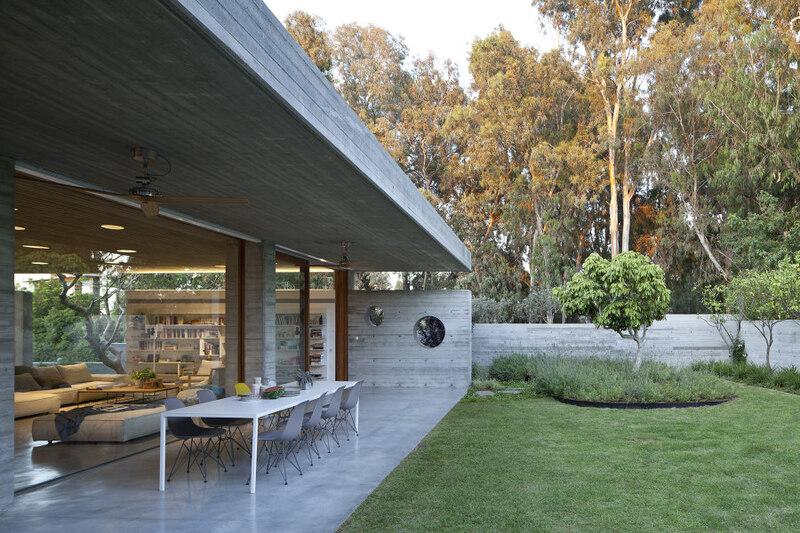 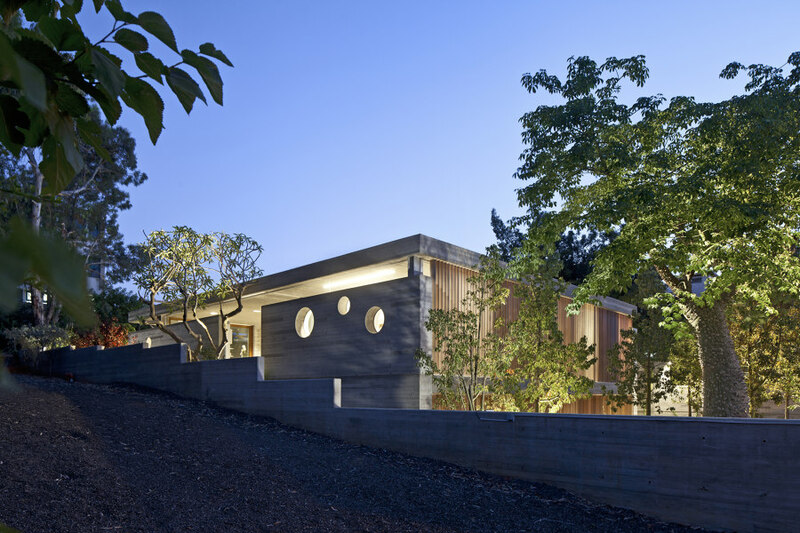 The neighborhood where architect Pitsou Kedem designed a home for himself and his family was established in the 1950’s by army veterans and can be characterized by buildings with low silhouettes and horizontal lines set in a rich grove of eucalyptus trees. 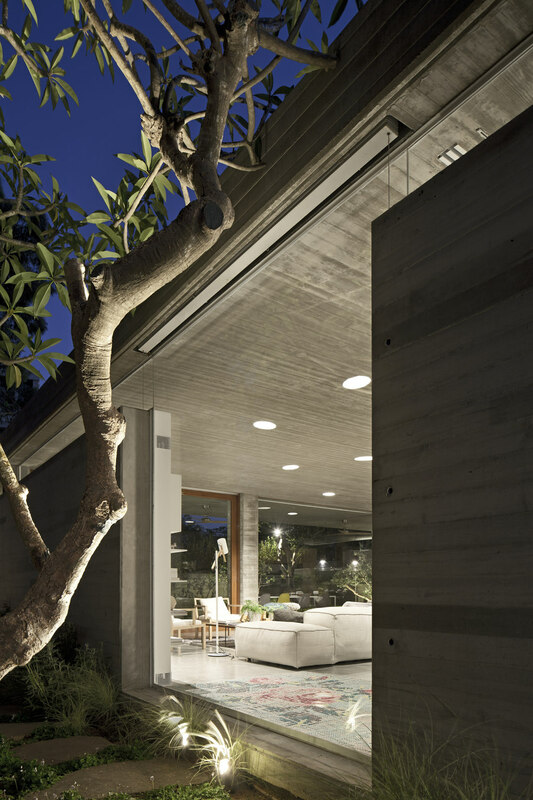 Kedem's home was designed to blend in with the architectural characteristics of the other homes, all built using modern architectural values. 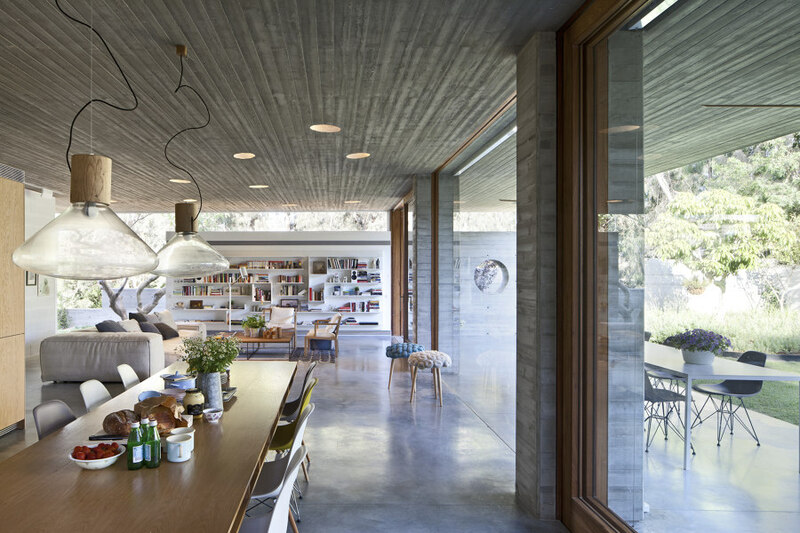 The home combines elements such as a concrete ceiling and continuous windows and also uses materials in their original, raw state: exposed concrete, iron and uncolored wood and silicate bricks. 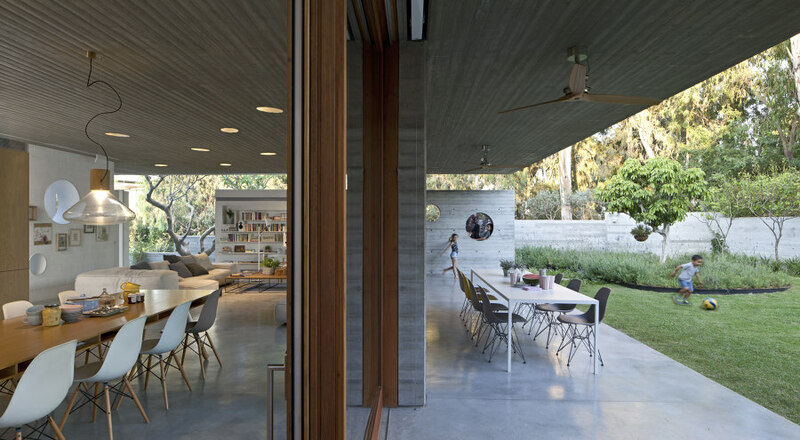 Examples of the use of such materials can be found in the concrete ceiling that floats above the entrance floor with a continuous window along its entire length. 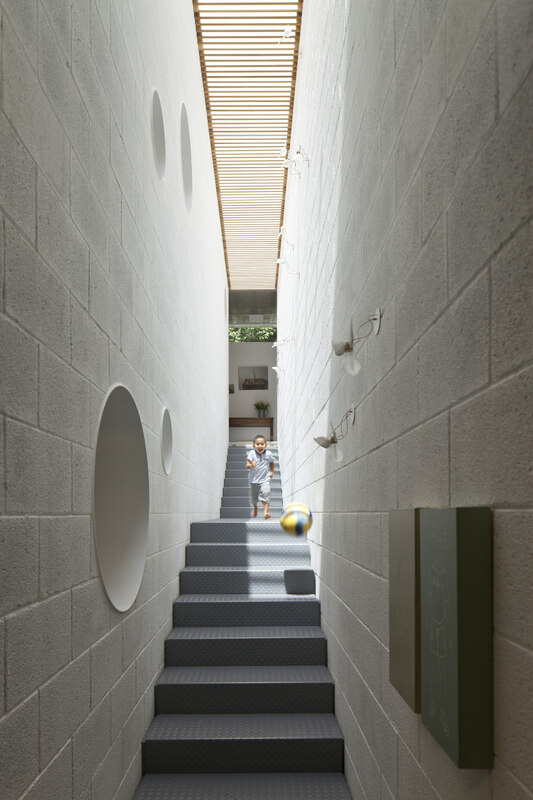 This allows the ceiling to be separate from the structure’s walls and creates a feeling of etherealness in the buildings mass and the white painted, iron ramp that leads to the floating entrance lobby. 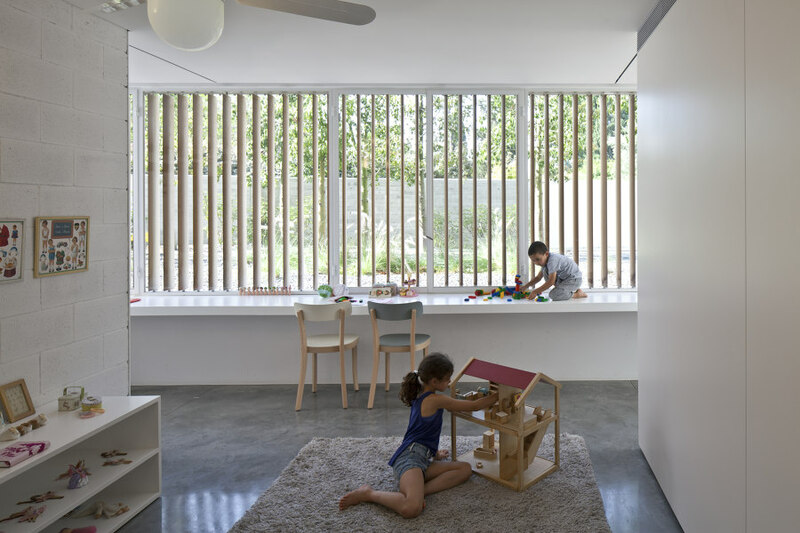 The door is located in the center of the building at the cross section between the stairwell and it opens facing a fixed, frameless window. 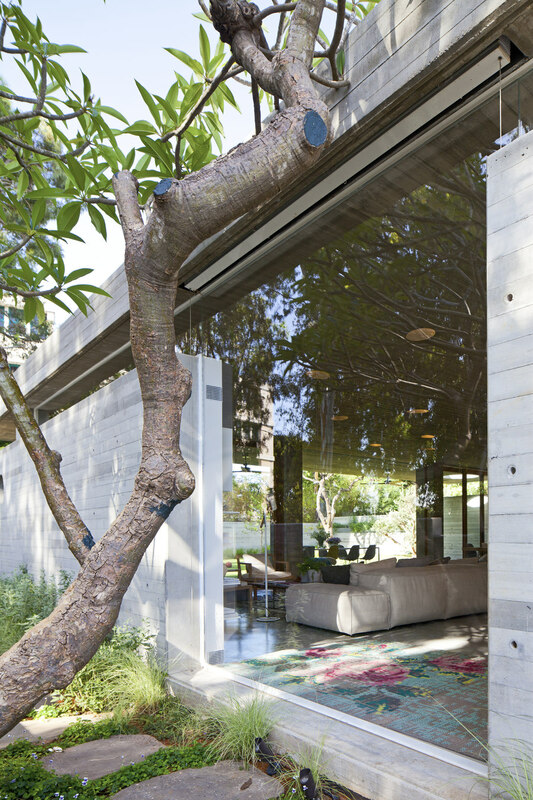 Through the window, we see the eucalyptus trees that surround the plot. 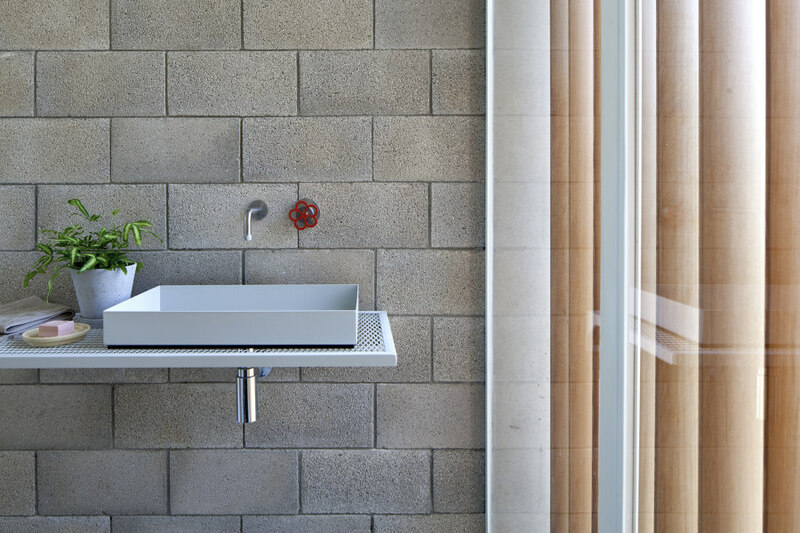 The stairwell is constructed from metal with a unique texture and with no covering materials. 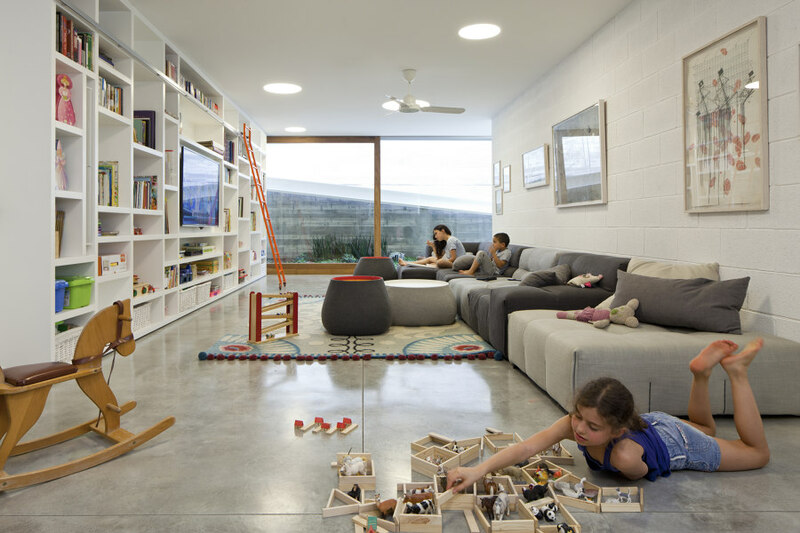 It divides the two floors into rectangles and is delimitated by two walls constructed from exposed blocks that support the ceiling. 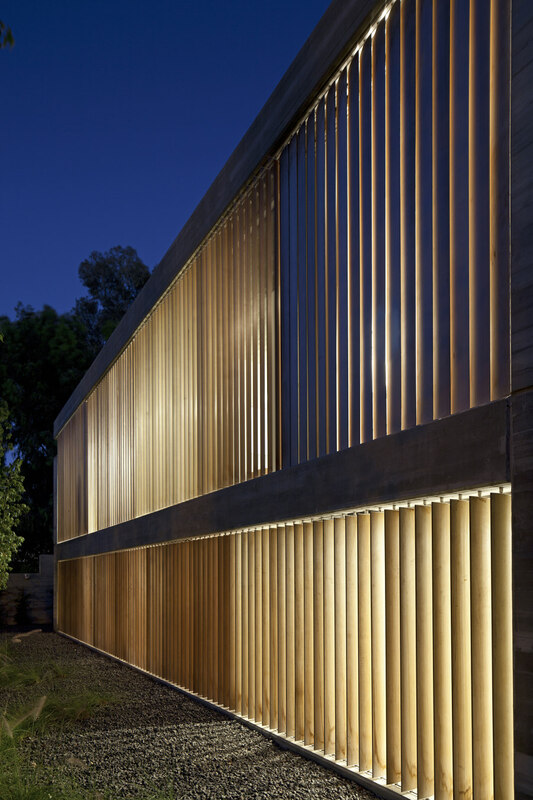 Light is provided from the skylight that runs its entire length, covered by wooden slats. 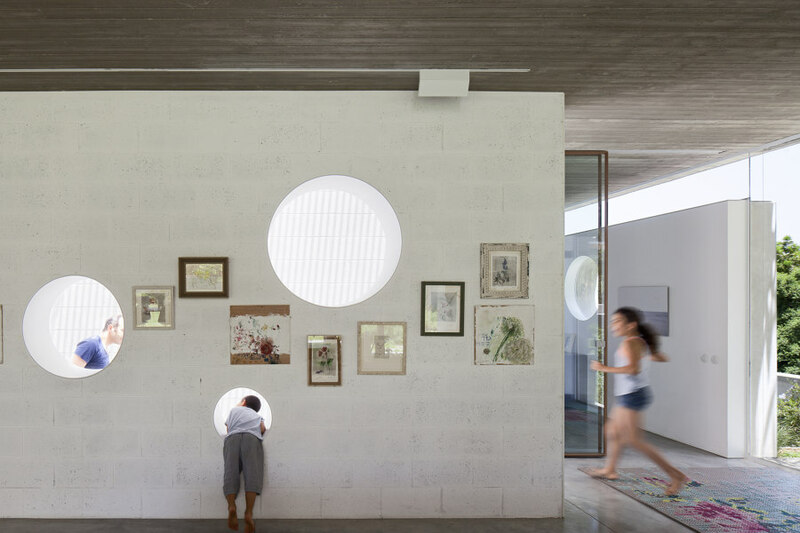 Set into the walls are round windows of differing sizes that allow the light coming through the skylight to disperse within the space. 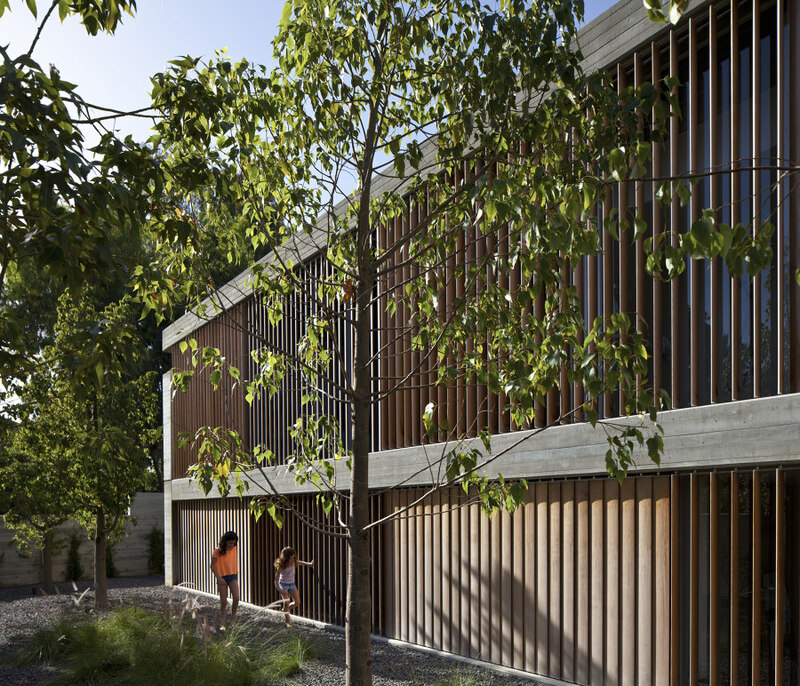 The house was designed as two squares, set one on top of the other whilst exploiting the sloping plot. 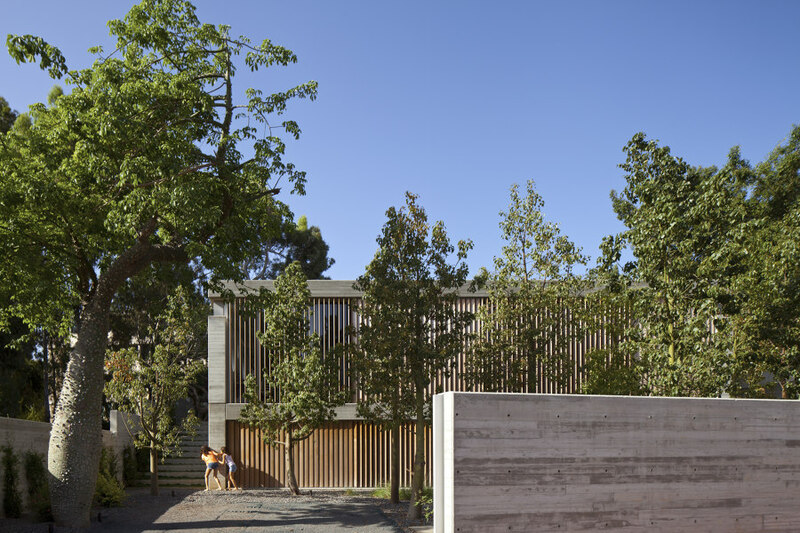 The lower level is located at the lower and front section of the plot while the upper level is located on the plot’s higher section, towards the road and whose low silhouette is hidden by evergreen Brachychiton trees. 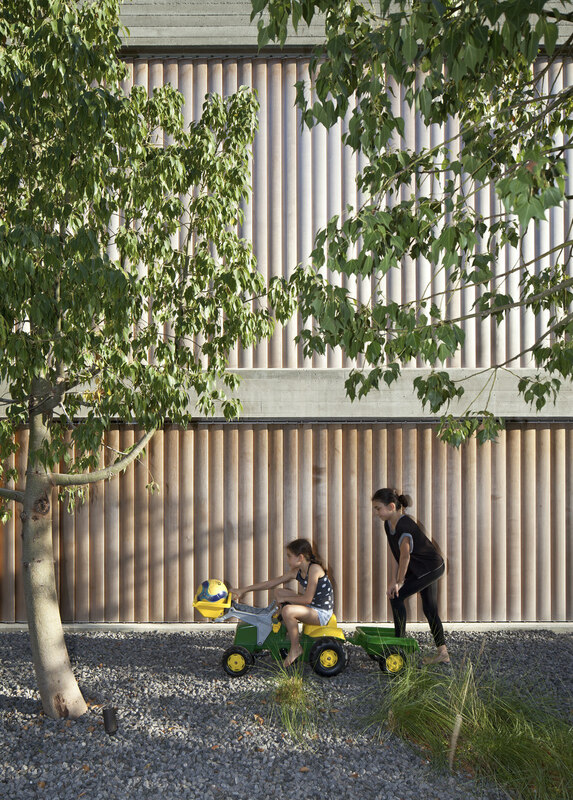 The restraint and scale that characterize the design express the balance created between the architect’s vision and the fact that the house, which is conceived as a family home, is designed around childhood memories of the architect’s wife’s kibbutz. 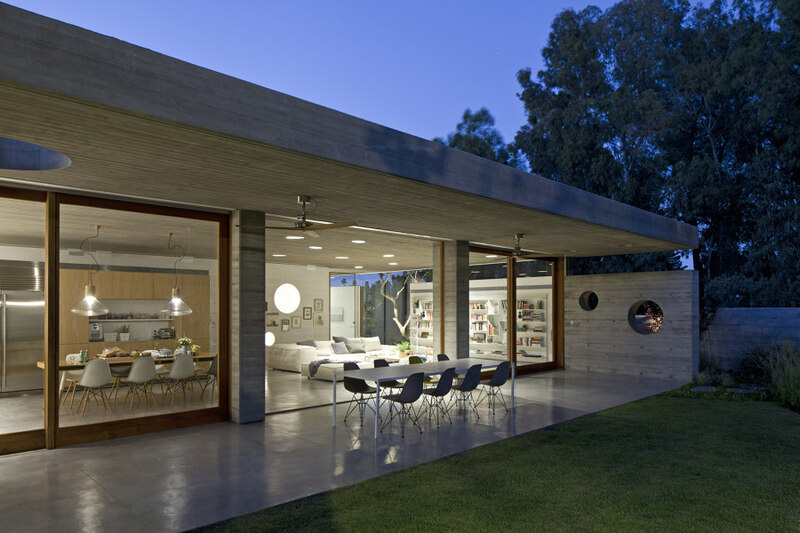 Kedem sought to avoid the creation of gimmicks and to realize in the house’s design that elusive idea of “timeless architecture”. 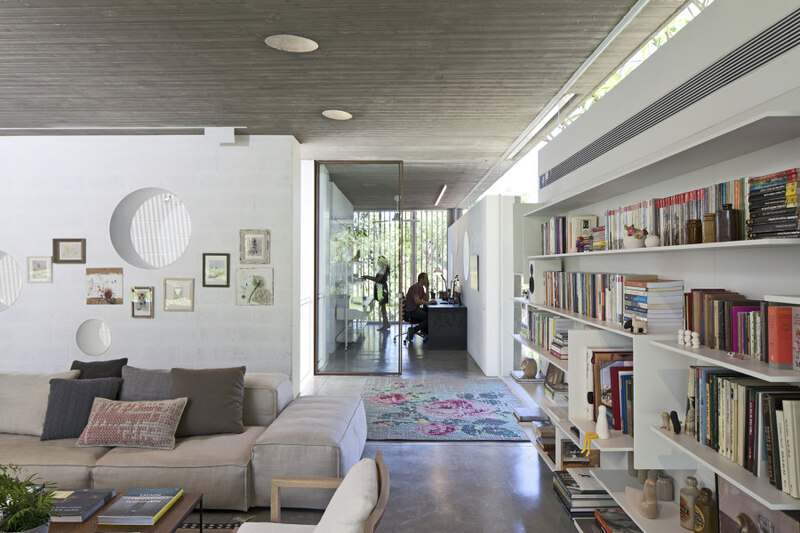 The raw materials and the attempts to create a non-fashionable and timeless architecture compliment many books and works hanging in the homes of both young and old Israeli artists such as Tsvi Geva, Yadeed Rubin, Nurit Gur Lavi, Amir Shepht, Aram Gershoni, Yifat Betsalel and others. 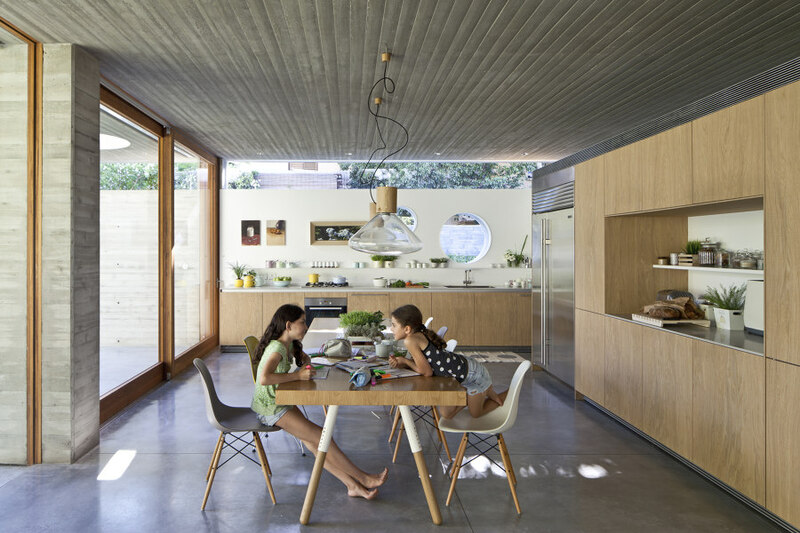 The house’s furniture and light fixtures were also carefully chosen to complete the look and the atmosphere. 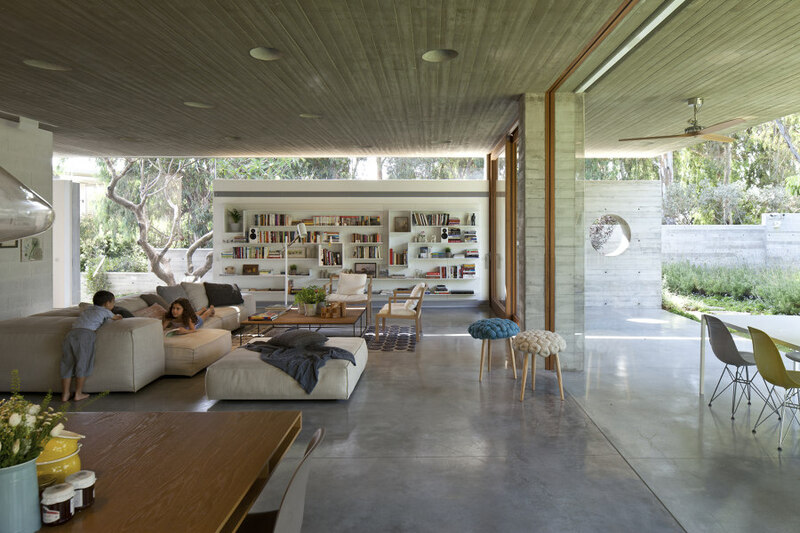 They include sofas, carpets, tables and bookcases by leading designers such as Piero Lissoni, Patricia Urquiola, Dan Yafe and others and from leading companies including MDF italia, B&B Italia, Desalto, Living Divani and GAN. 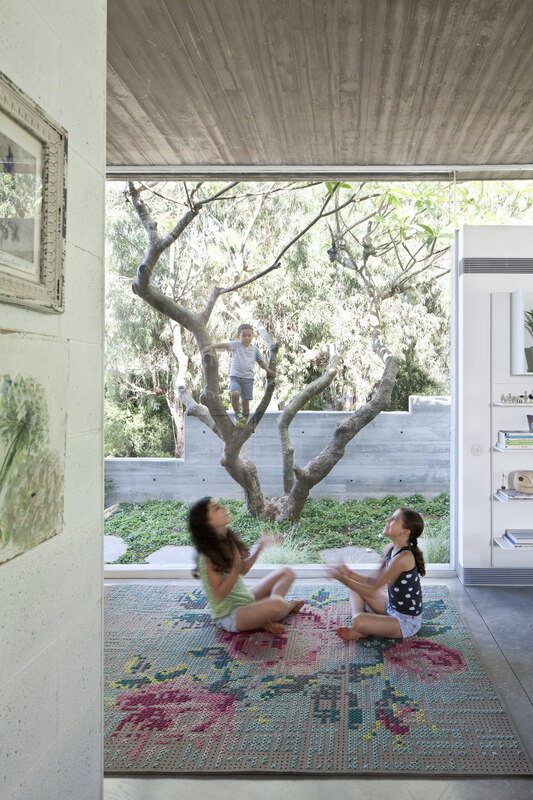 Pitsou Kedem Architects: Pitsou Kedem, Noa Groman, and Tamar Berger.